I'll never forget that moment. Laying alone on the ultrasound table waiting to see a tiny little bean with a strong heartbeat inside of a sack confirming my pregnancy just as easy as it did with my previous two. I was excited and nervous all at once. Within moments, I knew that something wasn't as expected. I'm not an ultrasound technician, but I could see clear as day on the screen that there in fact was a very good looking perfectly round sac, but it was empty. I immediately started to tear up. The tech was amazing and explained that it was possible everything was very early on and a fetal pole and yolk sack code appear in the next few days or week. She took several pictures and measurements and left to give them to one of the doctors. Then she returned to explain that the doctor wanted to explain what was likely happening to me. Just ten minutes after I walked in, I was being told that since the sac was measuring around 6 weeks, they should see something, anything. She then used a term I had never heard before, Blighted Ovum (BO). Here's a quick explanation from Mayo Clinic: "A blighted ovum, also called an anembryonic pregnancy or anembryonic gestation, occurs when a gestational sac develops without an embryo — often due to chromosomal abnormalities in the fertilized egg." -Presence of normal gestational sac that is either empty or only contains a yolk sac (no fetal pole). -HCG increases (rarely doubles) until removed or body realizes it's not a viable pregnancy (as long as the sac is growing, your body thinks the pregnancy is viable until it receives the "signal" that it's not viable or the placenta (that doesn't exist) should be taking over creation of HCG around 12 weeks. -Tendency to be "extra-sticky" requiring intervention for removal sac and termination of pregnancy. -Reputation for causing excessive bleeding during natural miscarriage that requires emergency intervention. 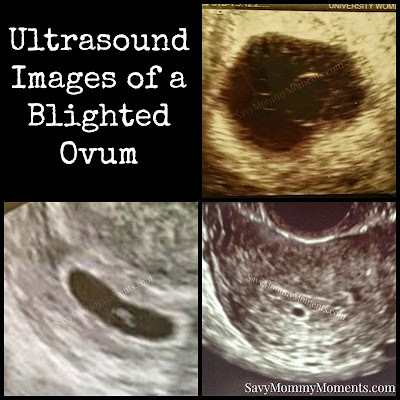 I was unable to obtain an ultrasound photo of my own blighted ovum, but here are few images provided for this post by some gracious women from a Facebook support group. The doctor explained that it was likely I would begin miscarrying at anytime and I could either opt to have surgery to remove it or wait it out. I choose the later, since we both agreed that I could wait a few weeks and have another ultrasound if I didn't miscarry by then. I waited..two very long weeks. It those two weeks, I did experience some very light spotting and cramping, but nothing otherwise. I spent time online researching and came across sites where people had a misdiagnosed BO and went on to have healthy babies. There were way more like me holding onto hope that this was also the case for me. I was a complete emotional wreck. At the end of the two weeks, I went back and while the sac had grown by a week, it was still there and completely empty. I then met with my regular doctor and she and I agreed that based on the known fact that blighted ovums have a higher history of natural miscarriages that cause too much blood loss (they are called "extra sticky"), a surgery to remove it was the best option. I scheduled it for a week or so later with the agreement the the night before my surgery I would receive a final ultrasound just to be sure. My doctor and the ultrasound tech happily obliged. They said they would give me as many as I needed to feel okay about proceeding. On November, 28, 2012 I went in for my surgery. This was the very first time in my life I have ever been put "under" or had "surgery" so I was really nervous. The ultrasound the night before confirmed that the sac was already starting to breakdown and the pregnancy was not viable. That was at least reassuring that I was in fact making the right decision. The surgery was really quick and successful. My husband was there waiting with Reese Cups and a stuffed puppy afterward. I recovered physically over the next week with the help of pain medication and rest. I was very lucky to have a very good support system, especially my husband, to help me recover emotionally. We spent lots of time just enjoying the two children we did have and the upcoming Christmas holiday. Looking back over the last 2+ years, I still remember the pain I felt during this experience. Emotionally, I will never be the same, but I have learned that this was part of a life and that, if only briefly, I carried a baby that couldn't survive and a part of me will always love them. During that difficult time and since then I have been a part of a Facebook group called Angel Moms via Blighted Ovum. When I was going through it, this group of women was absolutely amazing in providing me with support and answers. Since then, I have watched women come into the group who are currently or have experienced the same as me and I have returned the same support to all of them. I have heard stories about how people around them have said "You weren't actually carrying a baby" and made them feel like they shouldn't be sad or grieving. This is why I'm writing this, to spread awareness. No matter what, a baby was conceived and a baby was lost and a woman (and her family) are learning to cope with the reality of this loss. As humans, compassion is what binds us and during this time that's what we should be showing each other. Many women who experience blighted ovums go on to have one (or more) successful pregnancies. A small percentage will have a repeat blighted ovum and/or miscarriage. And a smaller percentage will never be blessed to carry a child again. We fell into the majority and, less than one year later, welcomed our third child, our sweet little rainbow. Somewhere Over the Rainbow Facebook Group (This is for those that are ready to move on and are TTC, pregnant, or have had children after experiencing a blighted ovum). Thanks for reading my blog. 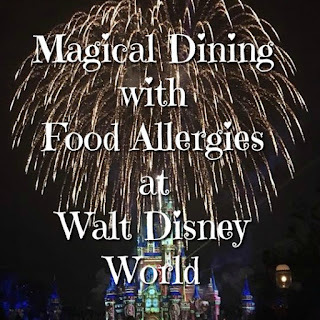 I would love if you follow me Facebook, Twitter, Instagram, Pinterest, Google+ and YouTube. If you are interested in working with me, you can reach me atsavymommymoments@gmail.com. Thank you for posting this. 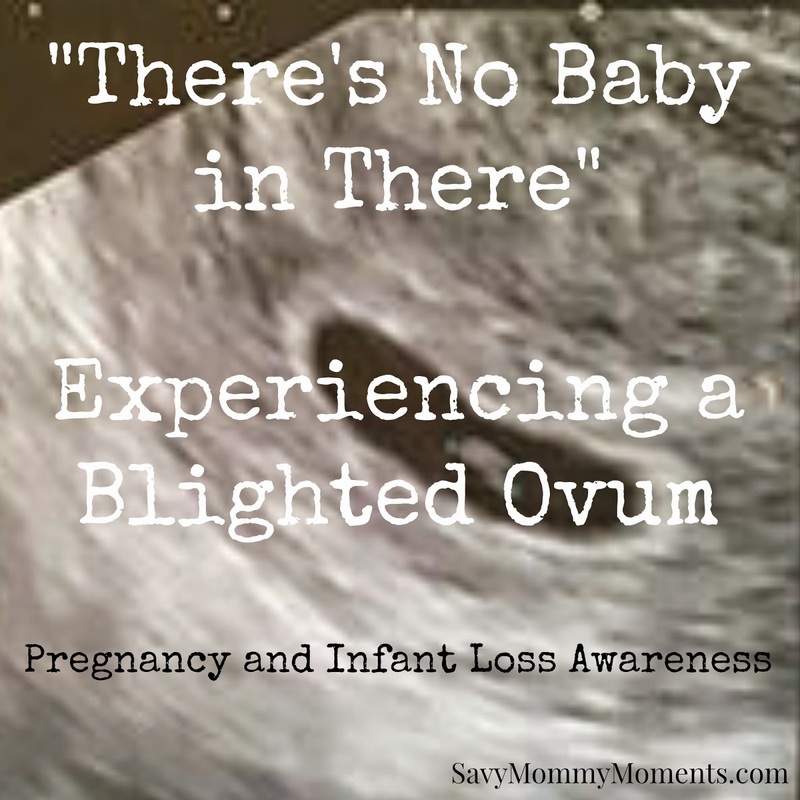 I had a miscarriage 5 years ago, that while the doctor never used the term lighted ovum, I came across that in my own research, my experience is as you described. I went in at what I thought was 12 weeks, only to find no heartbeat and an empty sac. A week later no change. And a week after that my hcg began its decline and at 14 weeks I finally began to miscarry naturally. 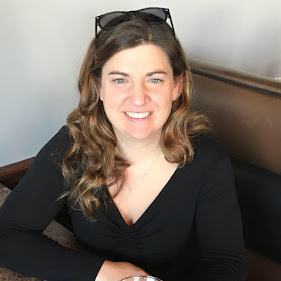 I lost a lot of blood, nearly requiring a transfusion, and 2 months later I experienced miscarriage symptoms again--I still had hcg in my blood despite ultrasounds showing the all clear after the first time, it was in fact an incomplete miscarriage. My next pregnancy was successful, but I am currently 6 weeks pregnant again and the ultrasound is not promising. We'll see if anything changes in a week. But the thing is, all the general medical info you read on blighted ovums is that they will naturally pass. I am glad to see in your article it is called "sticky" and surgical removal can mitigate extensive blood loss, because if this turns out to be non viable, I am eager to have it removed and avoid repeating a lengthy and potentially dangerous natural miscarriage of a blighted ovum. I cannot being to express the overwhelming emotions I fell right now. I experienced a blighted ovum pregnancy last year. My husband and I had been trying to conceive for 2 years and finally we were pregnant. My story is quite similar to yours. I went in for an ultrasound and I knew something was wrong. The doctor explained to me that my pregnancy may be earlier on that what she thought, but I did run the risk of having a blighted ovum. We were devastated, but we had faith God would pull us through this. I would return to the see my doctor in 2 weeks, until then she I would take my prenatal vitamins and pray. Those 2 weeks were the most excruciating I have ever experienced. I knew something wasn't right and there was nothing I could do. I couldn't save my baby. After those 2 weeks I went in for an ultrasound and the doctor confirmed my blighted ovum. After running blood work to check my HCG levels and on last ultrasound there was no baby and I had stared bleeding profusely. I went in for an emergency D&C. I can't being to tell you how I felt. I was numb, nothing mattered and I wanted to curl up in a ball and stay there. I attended a local pregnancy and infant loss support group but I always felt out of place. All the mothers there had experienced the loss of their babies during pregnancy or shortly there after. I sympathized with them of course, but no one truly understood my pain. After reading your story, a wave of sadness came over me, but also a wave of relief. A year and a half later, I find someone who relates to me and understands my pain is real. Thank you for sharing your story. 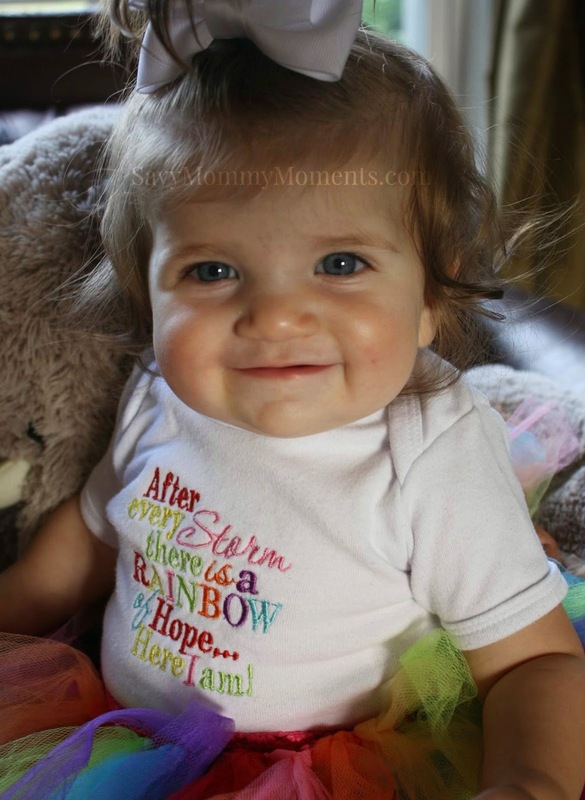 I am truly sorry for you loss and and overjoyed that you have your rainbow baby. I pray that we one day will be blessed as well. My babies due date would have been 10.24. We are honoring him/her this weekend and sending balloons up to heaven to be with him/her. Your experience is identical to mine. I also have 2 kids and was alone in the ultrasound room and knew what I was seeing wasn't right. Now I'm waiting. Waiting to see if I miscarry. Waiting till next week to get another ultra sound. Reading way too many stories of other women who go back and see a baby has magically appeared. I think the hope of something is much more hurtful than realizing that there really isn't anything there. I go back next Thursday so right now I just wait.